Edit: For a recent example of an appellate court taking a grim view of a practitioner's failure to uphold their obligations, see the civil case of Baulch v Lyndoch Warnambool  VSCA 30. The conduct of defence counsel in this instance is to be condemned. It was not an inadvertent mistake or a rash decision taken in the heat of forensic contest. It was a deliberate disregard of a fundamental rule of fairness in the conduct of adversarial litigation. Further, the breach in this case was particularly significant as it involved not only a failure to cross-examine the appellant but a failure to cross-examine a number of medical practitioners who supported her case on this point. The failure occurred in circumstances where defence counsel must have known that he had no evidence he could call to contradict the appellant’s assertion. An advocate must put to his opponent's witnesses as much of his client's case as the witness is able to comment upon. Failure to do so may entitle a trier of fact to conclude that a particular issue is not in dispute. The rule in Browne v Dunn (1894) 6 R 67 (HL) arises where a witness puts forward evidence that a previous witness of the other party could have offered evidence on but was not cross-examined on. Because of the sequence of evidence in criminal proceedings, this is typically where a defence witness asserts something not put to a prosecution witness by the accused's counsel. There are many reasons why it should be made clear prior to final addresses and by way of cross-examination or otherwise, not only that the evidence of the witness is to be challenged, but also how it is to be challenged. Firstly, it gives the witness the opportunity to deny the challenge on oath, to show his mettle under attack so to speak, although this may often be of little value. Secondly, and far more significantly, it gives the party calling the witness the opportunity to call corroborative evidence which in the absence of such a challenge is unlikely to have been called. Thirdly, it gives the witness the opportunity both to explain or to qualify his own evidence in the light of the contradiction of which warning has been given and also, if he can, to explain or to qualify the other evidence upon which the challenge is to be based. The traditional remedies for a breach of the rule in Brown v Dunn are to either allow the witness to be recalled (nine out of ten times the allegation simply encounters a strong denial, which doesn't really take the matter any further but at least allows both sides to have been heard on the point), or for the trier of fact to draw an adverse inference from the fact that the matter wasn't properly put to the earlier witness. It's sometimes said that a third option exists of not permitting a witness to give the evidence in breach. It's an option more likely to be applied in civil cases rather than criminal trials. Browne v Dunn does apply in criminal cases, though its application will necessarily be different: Gleeson CJ in R v Birks (1990) 19 NSWLR 677, later affirmed in MWJ v R  HCA 74. The view has occasionally been taken that no such power exists in criminal cases. In its original trial jurisdiction, the Supreme Court in R v Allen  VR 736 declined to follow the NSW Court of Appeal's decision in Schneidas (No 2)(1981) 4 A Crim R 101. With the greatest respect which I have for all members of the court which made that decision, I am not of the view that it correctly represents the law to be applied in this State. As I put to [the prosecutor] in the course of argument, one starts from the principle that all relevant evidence is admissible. In the case of relevant evidence which is part of the prosecution case, there has developed, particularly during this century from practices which came to be followed universally by judges, a rule that a judge has a discretion to exclude prosecution evidence which would be prejudicial to the accused and which is of relatively small importance to the prosecution case. I am not aware of any practice which has developed, at least in this State, which has resulted in judges excluding evidence sought to be called by the defence which the judge has regarded as unfair to the prosecution to be called, having regard to what was not put in cross-examination. The way in which the rule which entitles a judge to exclude prosecution evidence developed, indicates, I think, the reason for there being no rule which applies to defence evidence, which corresponds with the rule developed by judges initially suggesting to Crown prosecutors that it would be unfair to the accused to call the evidence. Prosecutors having, as counsel, the obligations that they have to present the prosecution case fairly, invariably complied with the judge's suggestion. In that way, what originated as a form of moral suasion exercised by the judge has developed into a rule of law. The defence is placed in a different position. Even when counsel appear for the defence, the inherent obligation as counsel is to secure an acquittal by all proper means. It has been open to judges to exercise persuasion whether directly or indirectly on defence counsel to comply with the rule in Browne v Dunn. However, it is unlikely that judges would have felt themselves in a position in a case where an accused person appears for himself to exercise that moral suasion. I say that because Schneidas' Case was a case in which the accused had appeared for himself. Accordingly, I take the view that unless there is some principle of law which entitles me to exercise a discretion to exclude this evidence, it is admissible even though it is called in breach of the principle of Browne v Dunn. I have the gravest reservations as to whether a trial judge ever has power to exclude on the basis of fairness, evidence which is admissible and is sought to be called by the defence. As I mentioned earlier, usually this problem does not occur because counsel are bound by the rules and ethics which govern counsel and comply with the rule in Browne v Dunn. The correctness of the decision in Allen can be doubted on two bases; the first, because it is a decison made in the Court's original jurisdiction that doesn't rely on any authority for diverging from the NSW Court of Appeal's ruling on the same issue; and second, even were it correct when decided in 1989 it is certainly not possible to argue now, under s 135 that a court doesn't possess the discretion to exclude evidence which is unfair to any party. 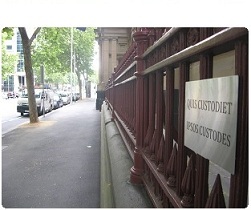 NSW courts continue to treat Schneidas (No 2) as good law, including in R v McCormack (No 3) NSWSC 645. The ALRC/VLRC Joint Report observes that s 46 of the UEAs, "mirrors part of the rule in Browne v Dunn, but does not replace it." This provision allows for the recalling of a previous witness but does not provide any other remedies. The Commissions saw no need to add additional ones [at 5.143]. In R v Lisiritis  NSWCCA 287, whilst not deciding the point, the New South Wales Court of Criminal Appeal said there was ‘much to commend’ the view that the High Court has implied in decisions such as Azzopardi v The Queen (2001) 205 CLR 50 and Dyers v The Queen (2002) 210 CLR 285 that the rule does not apply to an accused in a criminal trial. However, both these cases concerned the right of the accused not to give evidence, rather than the rule in Browne v Dunn in a strict sense. Reliance on the rule in Browne v Dunn can be both misplaced and overstated. If the evidence in the case has not been completed, a party genuinely taken by surprise by reason of a failure on the part of the other to put a relevant matter in cross-examination, can almost always, especially in ordinary civil litigation, mitigate or cure any difficulties so arising by seeking or offering the recall of the witness to enable the matter to be put. In criminal cases, in many jurisdictions, the salutary practice of excusing witnesses temporarily only, and on the understanding that they must make themselves available to be recalled if necessary at any time before a verdict is given, is adopted. There may be some circumstances in which it could be unfair to permit the recalling of a witness, but in general, subject to the obligation of the prosecution not to split its case, and to present or make available all of the relevant evidence to an accused, the course that we have suggested is one that should be able to be adopted on most occasions without injustice. Stupid question : Is a breach of Browne v Dunn objectionable? Not a stupid question at all, noobee. I've seen prosecutors bolt out of their seats to object to a breach of the rule in Browne v Dunn. I suspect the reason they do so is to show the court that they've been paying attention during their opponent's evidence-in-chief. There's very little reason to do so otherwise. Perhaps there is some tactical advantage to reminding the court that the trier of fact is hearing this account for the first time but you'd hope they were paying sufficient attention to realise this themselves. By drawing the witness's attention to it, they allow the witness (and possibly counsel) to provide a context for why this account didn't come out during the prosecution case. Tactical considerations aside, the only reason to object during a witness's testimony is to prevent the trier of fact hearing inadmissible evidence. Anything else should be the subject of submissions, or cross-examination. I didn't go so far in this post as to say the rule in Browne v Dunn doesn't permit evidence to be excluded, but MWJ v R certainly suggests that disallowing evidence to be given is a last resort. Objecting is probably allowed. Certainly I've seen it done. But if the prosecutor does it, they may actually be helping your case, not theirs. Stay tuned for another post on this issue some time in the future. Also a copy provided by a reader, available here.